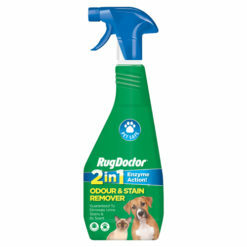 Rug Doctor Trigger Sprays offer consistent and powerful stain removal, whenever you need it. The 500ml bottle is the ideal size for keeping around the house in case of an emergency. At Rug Doctor, we don’t take the conventional approach of offering a single cleaning solution for every stain. Instead, we have a range of specially formulated products designed to tackle specific problems. Our specialist sprays are ideal for removing typically stubborn stains, including blood, urine and even the dreaded red wine. Designed for pet owners. The formula means you’ll never have to worry about carpet or upholstery damage if your furry friend has an unfortunate accident. 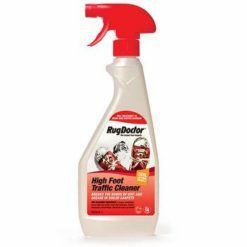 Effective pre-treatment cleaning solution for high-traffic household areas. Specially formulated for the removal of embedded dirt and grease. 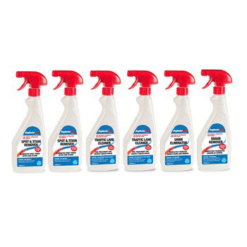 Refresh tired looking carpets with our powerful professional cleaning bundle. 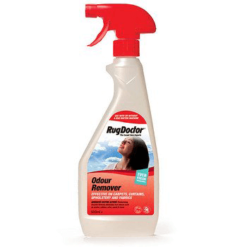 Rug Doctor’s innovative cleaning solution for foul-smelling carpets or upholstery. The enzymatic formula breaks down odours at their source, leaving you with fresher smelling carpets. 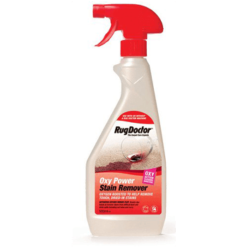 Provides the cleaning power of bleach, without the nasty side effects. The unique oxy action formula removes the colour from carpet stains, even turning red wine spills invisible!